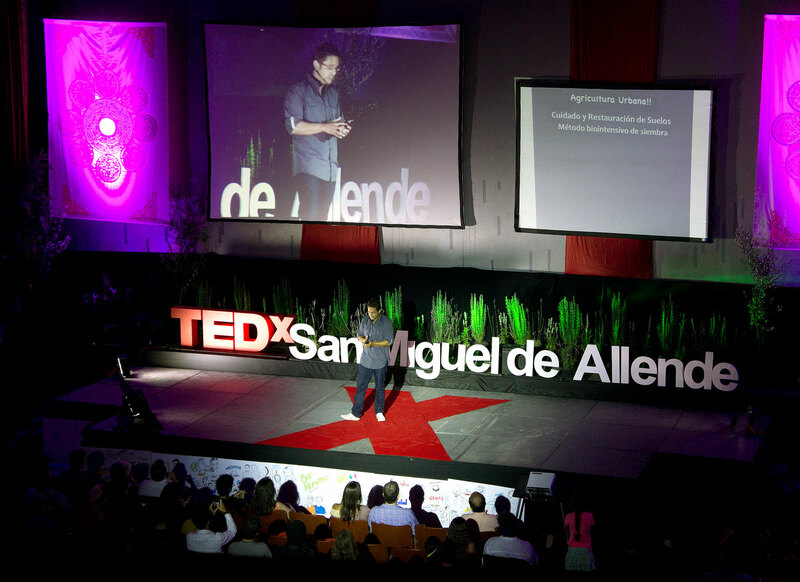 This year’s TEDx in San Miguel was packed to the gills, and predominantly with young people, many of them local students. Here, Xavier Fux speaks of Urban Agriculture as a promising strategy for the new Millennium. Other contributors included Sara Hoch, who has successfully dedicated herself to the revival of the Mexican film industry, and, as Director of the Guanajuato International Film Festival, is responsible for an extensive new headquarters for GIFF here in San Miguel, construction of which will begin in January, and which will include two auditoriums and extensive film, video, and sound production and post-produchtion facilities.